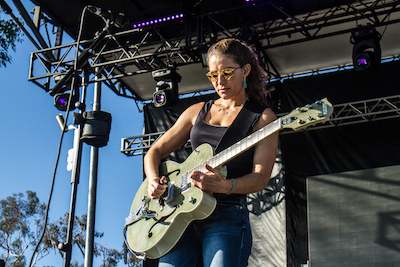 The second annual Driftwood at Doheny State Beach brought 16,000 fans together in scenic Dana Point, CA on Saturday, November 11 and Sunday, November 12 for a Veterans Day Weekend celebration of country music, California-focused craft beer, and BBQ on the shore of the Pacific Ocean. 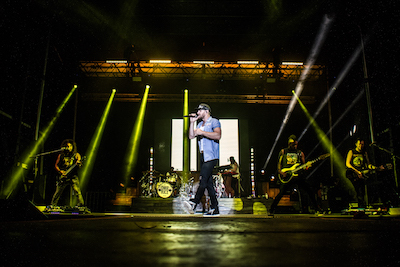 The festival featured headlining sets from Chase Rice and Kip Moore, performances from nearly a dozen others including Frankie Ballard, Dan + Shay, Maddie & Tae, RaeLynn and A Thousand Horses, plus 3 hours of craft beer sampling each day for fans 21+, including the festival's exclusive Artifex Brewing Driftwood Country Blonde (a 5.5% honey blonde ale that goes down smooth and crisp with hints of honey). "As a brewery coming to this festival, it is one of my favorite venues because of how gorgeous the scenery is. I mean, who doesn't like drinking craft beer on a beach with live music," says Nicholas Cordato, co-founder of Artifex Brewing. "The Driftwood Country Blonde was a big hit for the crowds. The name alone really made people feel like they were a part of the festival and beer community. We had people coming up to our booth asking, 'Did you make this beer for this festival?' Yes we did! Thanks for coming out and supporting us and all the craft beer here." During his Saturday performance at Driftwood at Doheny State Beach, Frankie Ballard commented, "This is the most beautiful show I've been part of; my heart is bursting with joy." 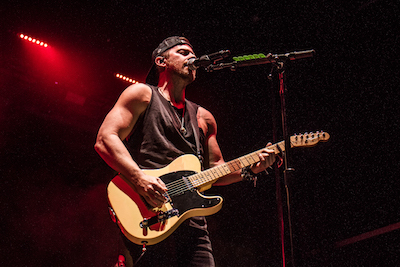 The full lineup for Driftwood at Doheny State Beach included headliners Chase Rice and Kip Moore, plus Frankie Ballard, Dan + Shay, Cassadee Pope, Maddie & Tae, A Thousand Horses, Canaan Smith, RaeLynn, Lit, Caroline Jones, Mark Mackay, and Gethen Jenkins, along with 35 breweries and over 100 craft beers from Southern California and beyond. Driftwood at Doheny State Beach attendees also enjoyed BBQ and other food offerings from Back Yard BBQ, Barrett's Sausage King, Corn Dogs Gone Wild, Hero's BBQ, Meat Up BBQ Truck, Spicy Pie, and TLC's Sidewalk Café. "…a growing Veterans Day tradition…"
"Country music, craft beer both a hit at Driftwood Fest." 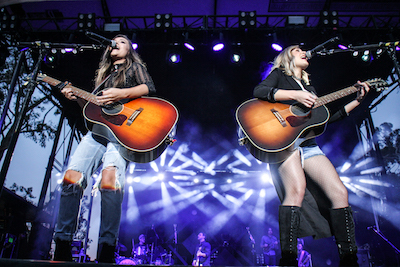 "Driftwood at Doheny State Beach drew thousands to Dana Point on Nov. 11 and Nov. 12 in a weekend-long celebration…Artists such as Gethen Jenkins, RaeLynn, Canaan Smith, Maddie and Tae, Dan + Shay, and Kip Moore spoke early and often of the Pacific Ocean's one-of-a-kind concert venue backdrop." 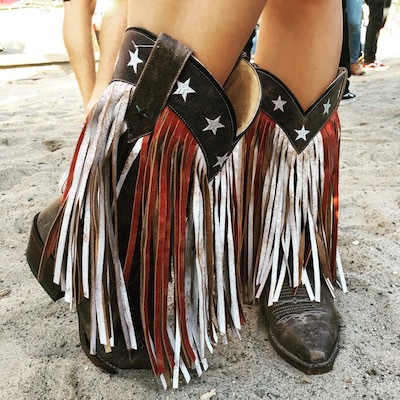 "If you love country music and craft beer, Driftwood at Doheny delivers…Every time I go to a festival, I always ask myself if I would go again. 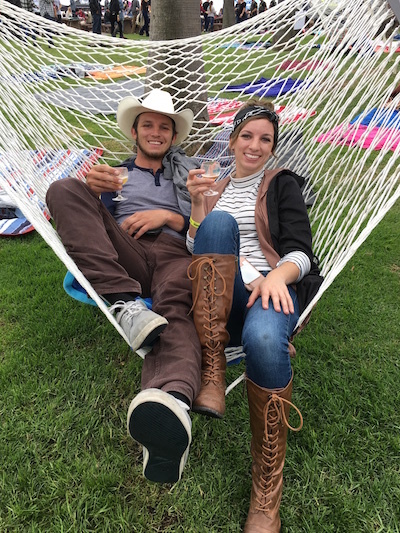 In the case of the Driftwood Doheny Country Music, Craft Beer and BBQ Festival, the answer is 'Hell yes!'" 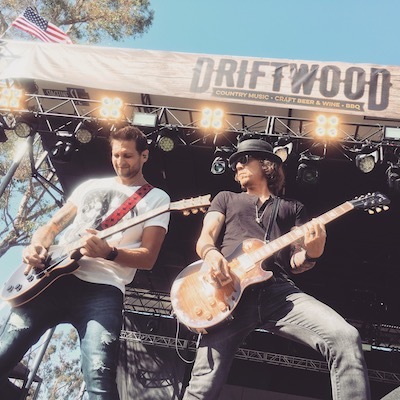 The Driftwood Festival also debuted as a one-day event in Phoenix, AZ on Saturday, November 11 with performances from Kip Moore, Jerrod Niemann, Chris Janson and more. Driftwood at Doheny State Beach is produced by Synergy Global Entertainment (SGE) and Brew Ha Ha Productions. 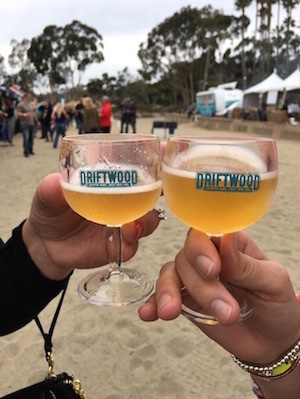 Sponsors for Driftwood at Doheny State Beach included Pacifico, Ballast Point, Deep Eddy, Rockstar Energy Drink, Musicians Institute, Cosmic Fog, Weinerschnitzel, Krave, Bark Thins, Boot Barn, George Dickel Whisky, and more. Brew Ha Ha Productions (BHHP) is California's most successful craft beer event producer and creates award winning, often sold out, events. Fueled by a desire to promote craft beer, along with a vision of creating legacy beer fests and events, BHHP was conceived 10 years ago. BHHP produces multiple celebrated festivals with rave reviews annually and is best known for their signature events like the flagship Brew Ha Ha Craft Beer Festival (9/23/17), Brew Ho Ho Holiday Ale Festival (12/9/17), Sabroso Craft Beer, Taco and Music Festival (4/7/18), and the award winning Brew Hee Haw at the OC Fair Craft Beer Roundup (July 2018). Their pairing of Craft Beer Tastings along with top name music including Punk In Drublic (6 events in 4 states including Huntington Beach 10/28/17), Driftwood at Doheny State Beach (11/11-11/12/17), and more are experiencing unprecedented popularity and growth.